UNLIKE OUR COMPETITORS, WE DO NOT SELL RETAIL!! If you’re looking for high quality products and personal service, you’ve come to the right place. At RacingRivets.com we’ll give you the attention and personal service you’ll come to expect and enjoy. We offer the best in blind rivets, finish washers, body bolts, riveting tools, drill bits, threaded inserts and insert setting tools. Our pricing is competitive, our quality is the best in the racing industry and our employees are friendly and will be there to help you every step of the way. Let us put our experience to work for you. If you don't see what you are looking for, give us a call. Our industrial division allows us to stock a multitude of different rivet sizes and configurations including, high strength and closed end sealing rivets in stainless steel. 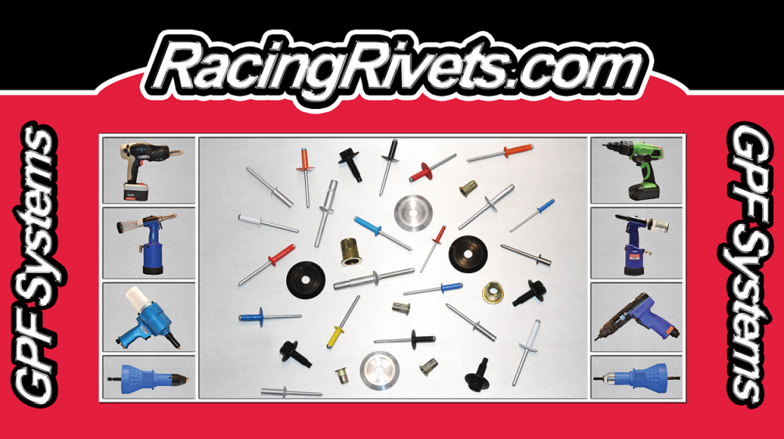 ​We are a stocking Manufacturer's Rep. of various fastening systems for the racing industry and general manufacturing. All fasteners are made to the highest standards according to IFI specifications and manufacturers are ISO 9001:2000 certified. All rivets are packaged in 250 quantities, inside sealed plastic bags and in a cardboard box with your personalized label, if desired. Inserts are packaged in 100 quantity boxes but can be customized to your preference. Bulk quantities or pallet sized shipment are also available to meet your high volume needs. Unlike most of our competitors, we only sell to dealers, upper level distributors and chassis builders. We are online however, we do not sell our products online, at a retail location or trade shows thus undercutting our customers. You are the heart and soul of our business. You will find that our pricing and service are hard to beat and we offer various purchasing options to accommodate your needs. We constantly add new products so come back and visit us often! SERVING RACING DISTRIBUTORS, DEALERS AND CHASSIS BUILDERS NATIONWIDE.